​Gerard Piqué has stressed that his former side Manchester United have what it takes to "turn this around", following Barcelona's 1-0 victory in the first leg of their Champions League quarter-final. An own-goal from Luke Shaw proved to be the difference between the two sides at Old Trafford as the likes of Lionel Messi, Luis Suárez and Philippe Coutinho were kept largely at arm's length by United. Chances were few and far between for Wednesday's hosts who finished the game without a shot on target, but Barcelona star Piqué insists that Manchester United have already proved this season that they have the ability to overturn the result at the Camp Nou. "After Paris Saint-Germain won here by a larger margin you can't trust the result," Piqué said, as he reflected on United's comeback in France, as quoted by Marca. "Look at what happened to them. "They [United] are a great club and they can turn this around, but our fans will surely help us." Despite leaving Old Trafford with just 23 first-team appearances under his belt, Piqué still has fond memories of his time at Manchester United and he regularly refers to Old Trafford as home. "It was special for me to come here," he added. "We are enjoying our best spell defensively and personally I feel very comfortable with my age and experience. "It's a very difficult place to win. It's majestic and the crowd push a lot." 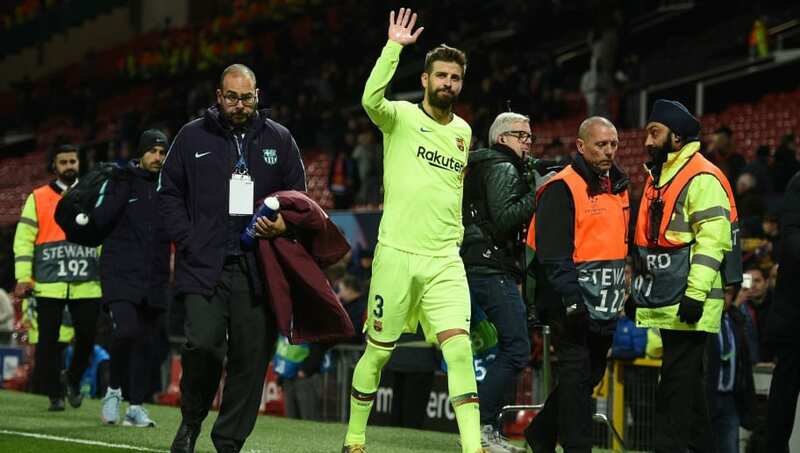 Piqué was one of Barcelona's standout players on Wednesday as the club registered just their fourth clean sheet in nine Champions League games this season. The 32-year-old, who is enjoying one of his best ever seasons, will be fresh for next week's second leg as he will be suspended for Barcelona's clash on the road to La Liga minnows SD Huesca.